TCS students must be in school at 7:30 am. Classes start at 7:45 am every day. 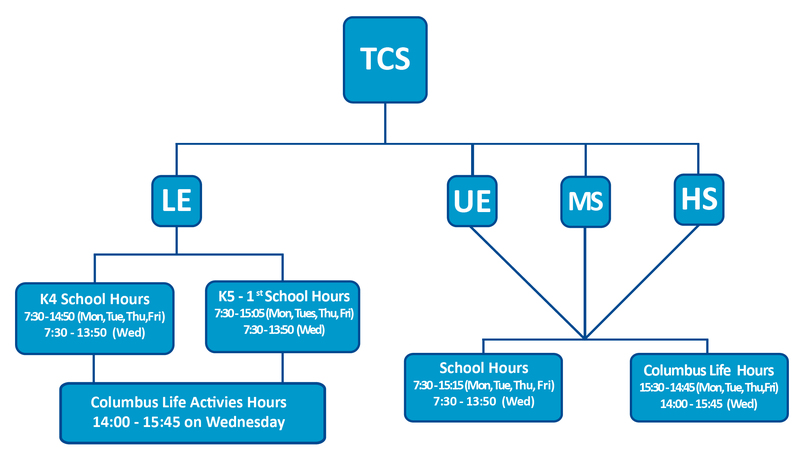 TCS school year starts in August and ends in June each year. In Colombia this type of calendar is called calendar B . 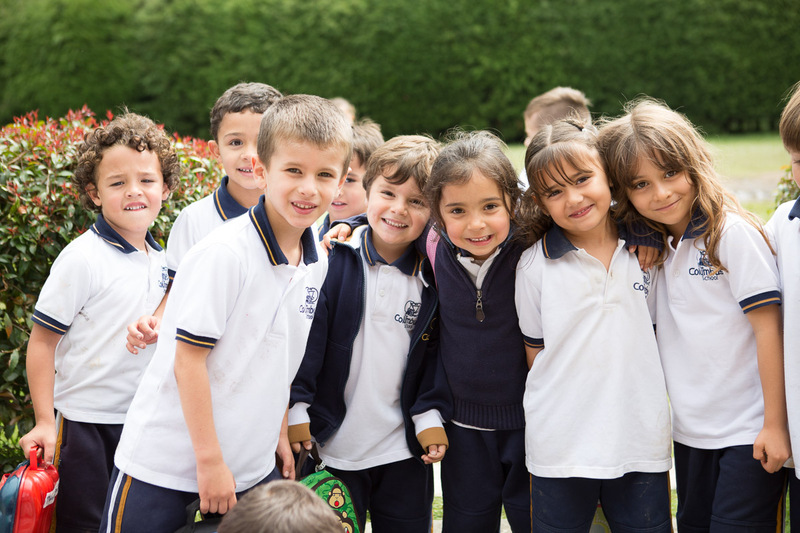 At TCS we believe in the free expression of character, therefore students can dress as they like as long as it is respectful to others. Only for P.E. must they use their uniform. If the family or the student decides, it is also acceptable to wear the P.E. uniform on days different from those with that class. We encourage students not to bring jewelry or other expensive accessories to school. The school works with three bus companies that offer transportation services to students in The Columbus School. Not all grades use the same buses. K4 students use the bus only with other K4 students. K5 and 1st grade students use the same buses. 2nd to 5th grade students use the same buses. 6th to 12th grade students use the same buses. Transportation service contracts are between families and bus companies, not TCS. 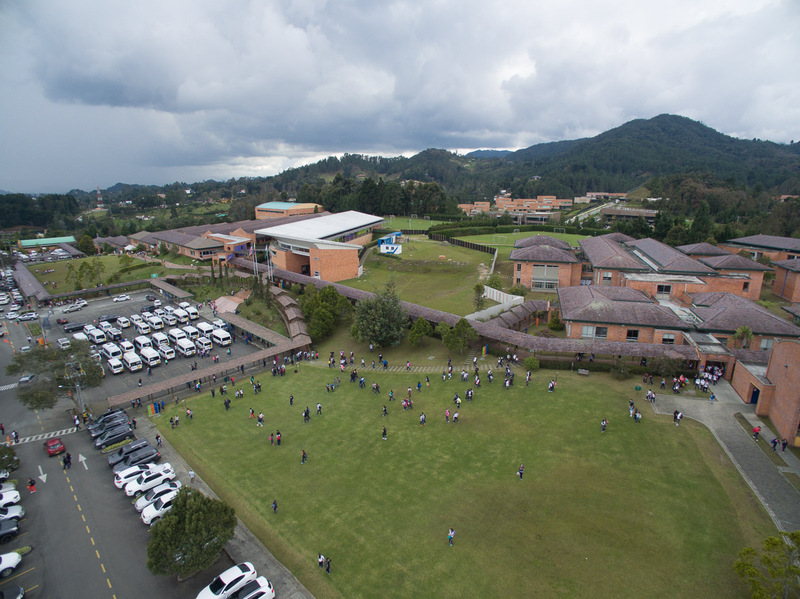 The school suggests using the transportation services for environmental and logistic reasons, but if there is a family that wishes to bring their child to school it is also possible as long as the arrival and dismissal time is according to our schedule. TCS sudents have two breaks followed by a snack or lunch. Each family can decide if his/her child brings a lunchbox from home or use the food service the school offers through a third party. Elementary School: if you decide to use the food service, the family has the option of pre-paying snacks and lunches, only snacks or only lunches on a monthly basis. This contract is held directly with the food service company. Students are not allowed to bring money to school to pay at the cafeteria. The company charges per school day, which means that some months will have a higher cost than others depending on the number of school days during the month. Middle and High School: students have the option of either pre-paying lunches for the entire month, bringing money to purchase food or bringing their own lunch from home. The company that provides food services is called Serviexpress. Students in Elementary are not allowed to bring any personal device, including cell phones, iPads, tablets or iWatches. The school has enough electronic devices such as iPads, Chromebooks and others to lend students when the teacher has programmed a class that will use them. Middle School students are not allowed to use cellular phones at school. If for security reasons, they need to bring their phone, it should be left in their backpack and only used after leaving school in the afternoon. High School students are allowed to bring cellular phones but are encouraged to use them in a responsible and non disruptive way.